This poster is one of a set called "America: A Nation of Immigrants." 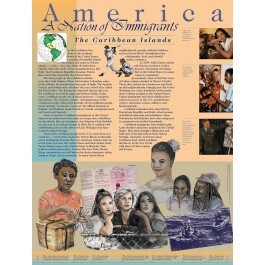 This poster focuses on immigrants from the Caribbean Islands. 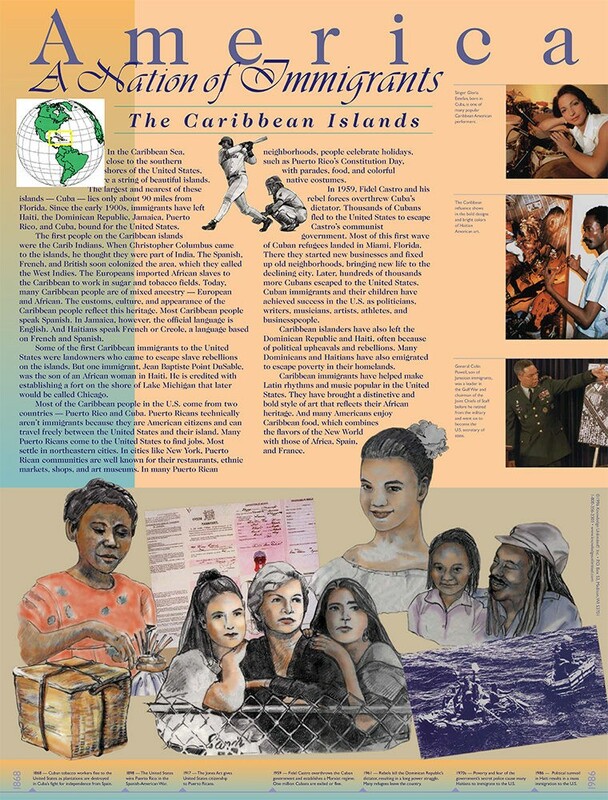 Using artwork, photos and text, the poster provides background information on this immigrant group, important individuals from this group, like Colin Powell, and major contributions to American society from this group.